The date is July 24th, 2018, 5:47p.m., it is reported that Baker Mayfield officially signs his contract to play for the Cleveland Browns as the 1st overall pick of the 2018 NFL draft. That time would ‘officially’ signal the beginning of the Buffalo Bills 2018 season and training camp. Ignore the fact that Josh Allen would not officially sign his rookie deal for nearly another 24 hours and players need not report to camp until July 26th, 2018. If that is the case, then how can a Baker Mayfield contract be the beginning of 2018 and the start of the “new-look” Buffalo Bills? Easy, the same way that an Andy Dalton heave to Tyler Boyd heave could keep the Baltimore Ravens out of the playoffs, vault the Bills in and simultaneously end the longest playoff drought in professional sports history. If you are not already familiar with the Bills and a quintessential off-season in Western New York, let me tell you, it is mindboggling how often the Bills have found themselves in the eerily precarious position of losing a “star” player to injury, suspension, controversy or the inability to sign a rookie contract during the six weeks prior to camp. Although this time of the year is when the phrase, “no news is good news” is more like gospel, the teams who actually “win” the off-season are the teams that you do not hear about. However, these are the Bills and in typical Bills fashion, Bills fans have had to endure the phenomenon that is finding a way to produce news when there is none, regardless of the time of the year. From the bizarre Zay Jones incident, the Richie Incognito retirement and subsequent arrest to the Josh Allen tweets and developing LeSean McCoy drama unfortunately, the Bills still have been a major part of the news. Let me digress however because these are not your big brother’s Bills of old. Somehow, miraculously the Bills are still in the clear, for now. McCoy looks to be avoiding charges and a suspension (so far), Allen’s twitter history has been addressed and he is already working with the team and aside from losing Incognito, he seems to be doing much better with his mental health, going as far as to becoming a consultant and ambassador for the @boo2bullying campaign. There will be some obvious recovery and rehabilitation required from Zay Jones after his recent knee surgery, but he seems to have a very strong work ethic and is yet another example of an area where the Bills were able to dodge a bullet. Not only was there no suspension but he also had a necessary surgery to repair a shoulder and knee that hampered him during the season. Initially, after the draft, I was concerned that the team took the “wrong” Josh. Now, it is three months later and following the 2018 NFL draft, I could not be happier with the Bills selection(s). However, at first, due to NCAA statistics, I was still left wondering, “what if they took Josh Rosen instead?”. Since April, I have been reconvinced that the football God’s aligned the stars accordingly and now both rookies are exactly where they belong and I believe that both could be successful in Buffalo and Arizona, respectively and regardless of their history playing NCAA football. With that said, looking back at the 2018 Buffalo Bills, the Josh Allen era and the 2018 season are going to kick off simultaneously, regardless of whether Allen starts in Week One at Baltimore or not. Although there are zero statistics behind this fact, I think that the attitude and personality of Allen in conjunction with his athleticism as well as with his ability to be coached, will be the ultimate reason for his success if he is successful. For example, almost without a delay, Allen was prepared to sign almost immediately following Mayfield. It appears Allen was just waiting for Mayfield and his agent to sort out whatever needed clarity. The fact that Allen made it a priority to not miss valuable camp time with his teammates when he is knowingly entering the situation as the third quarterback also says everything about his competitiveness and hunger to not only be present but his eagerness to participate and get better. I may be back peddling here however, and honestly this was probably why the skimming of his Twitter was such a shock, but one thing that I was excited about from the beginning with Allen was his lack of off-season controversy and willingness to get to work. However, in true Bills fashion, Allen managed to somehow find controversy right away yet ‘get right to business’ and sign his contract immediately after the first quarterback clarified the offset language and is now working at camp. I believe this to be a great sign in comparison to his 2018 draft counterpart and current New York Jet, Sam Darnold who by all reports has not made those efforts to be present for training camp/team activities without that contract in hand. This may be good business on Darnold’s part because of potential injury however, I believe that a camp injury during non-contact for a quarterback is unlikely (I know, Teddy Bridgewater). Personally, I feel that he very well could still be present in non-contact drills and contribute/participate/bond/etc. with his teammates… Exactly like Allen has been, for the entire off-season. I like that about Allen and am excited to see where that type of attitude takes the Bills in the future. Today is just the beginning however, since Allen officially signed with the Bills on July 25th, 2018 and took the field he has shown flashes (and non-flashes) of why the Bills traded up and made him the seventh overall selection of the 2018 NFL Draft. Day one of training camp was just the first day of those “new-look” 2018 Buffalo Bills and whether or not the NFL and the fans are ready. The Buffalo Bills and their new potential franchise quarterback are at St. Johns Fisher to “Circle the Wagons” working their way toward a consecutive playoff berth. Frank Wojtasiak is a contributing writer for Full Press Coverage and covers the Buffalo Bills. 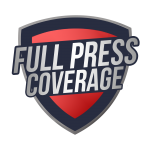 Follow Frank on Twitter at @FrankoelTanko50 and @FPC_Bills for Bills coverage.